Health tips for the New Year. Free from: gluten, dairy, sugar, yeast, egg plus Raw. 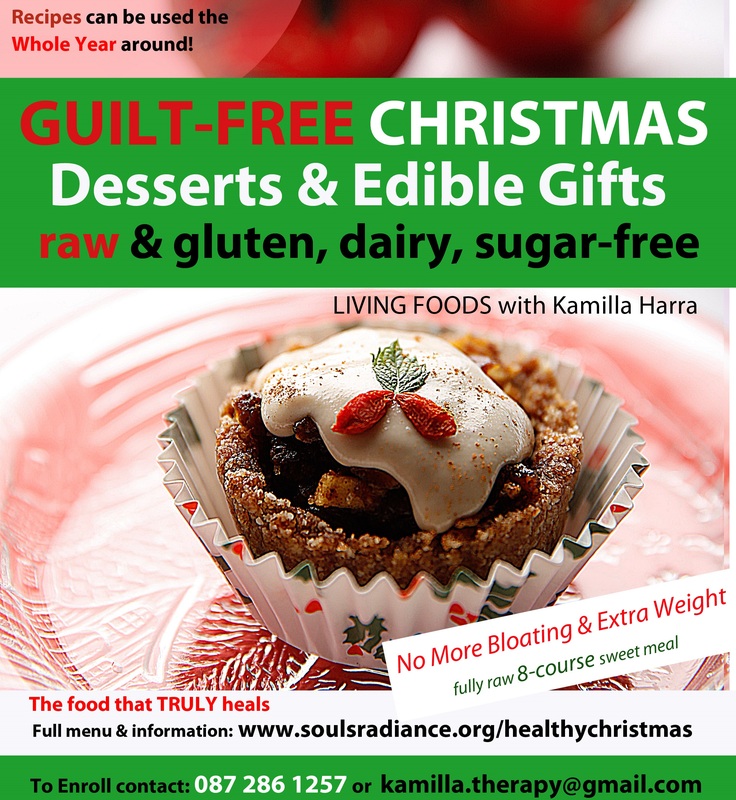 Discover the World of Guilt-free Christmas – where the foods are sweet and delicious, look after your figure, truly nourish & energise and where mulled wine heals your liver! All take around 10-15 minutes to make, most can be given as edible home-made presents! Most are safe for diabetics! for Xmas holidays and beyond! Hands-on experience or just ‘watch & eat’. You get to eat everything we make on the day, so leave some belly room! :) You will get the recipes + notes in printed and digital format.